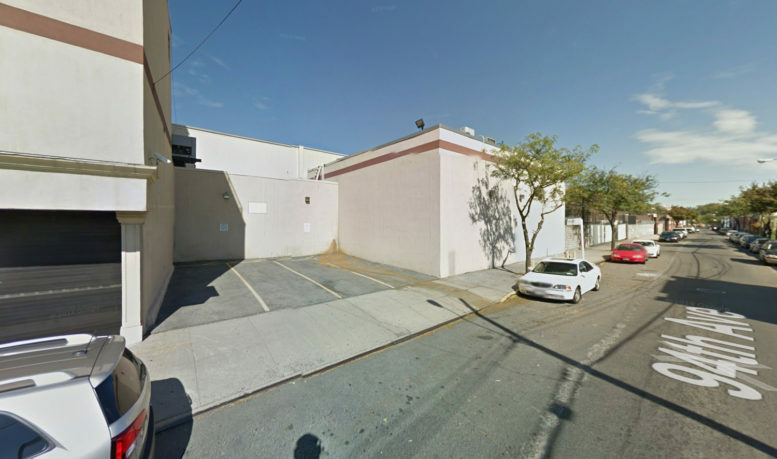 Permits have been filed for a 24-story mixed-use building at 147-07 94th Avenue, in Jamaica, Queens. YIMBY last reported on the site in October 2016, when Phoenix Realty Group and Artimus Construction purchased it for $34 million. The site is one block away from the Jamaica LIRR Train Station, and the Sutphin Boulevard-Archer Avenue-JFK Subway Station, serviced by the E, J, and Z trains. Sutphin Boulevard Subway Station is six blocks further, serviced by the F train. Artimus Construction will be developing. The 254-foot tall structure will yield 549,830 square feet of space, with 16,140 square feet dedicated to retail space in the cellar and on the ground floor, and 411,400 square feet for residential use. 522 apartments will be created, averaging 788 square feet apiece, indicating rentals. 114 parking spaces will be made, as well as 114 parking spaces will be made available in a three-story garage. Tenants will have access to a myriad of amenities, including a dog washroom, screening room, package room, two fitness centers, storage, laundry room, library, two children playrooms, two lounges, a computer room, common outdoor terrace on the fifth floor, private terraces, on the fifth and 23 floor, and a tenant rooftop terrace. This project continues the neighborhood’s upward trend in developments. Permits have been filed for a 23-story tower a dozen blocks away at 92-23 168th Street. Right across the LIRR train tracks is the site for 147-30 Archer Avenue, two residential towers peaking at 290 feet, and creating 580 apartments across 522,950 square feet of residential space. GF55 Partners is the Architect of Record. Demolition permits were filed for the existing three-story structure on January 9th, 2018. The estimated completion date has not been announced. 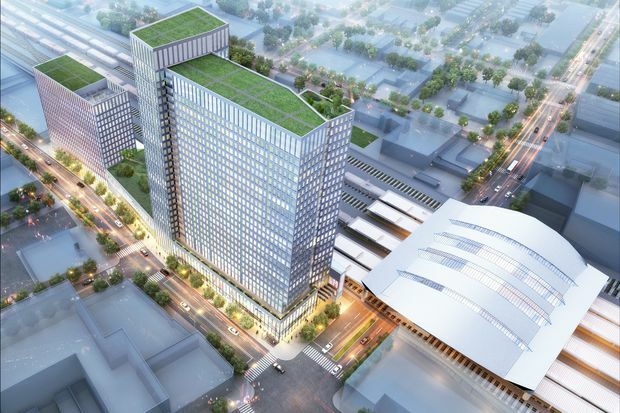 1 Comment on "24-Story Tower Coming to 147-07 94th Avenue, Jamaica, Queens"